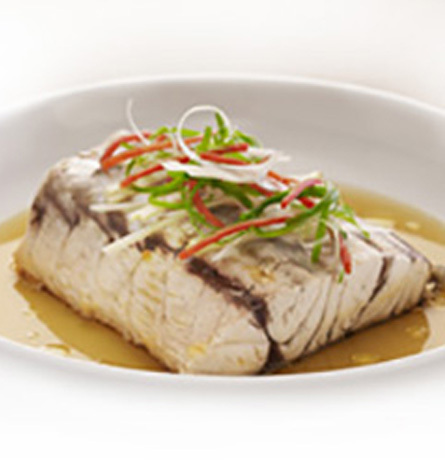 In a bamboo or countertop steamer, steam barramundi for about 8 minutes. 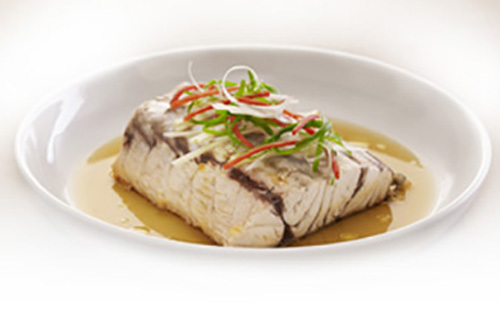 Check for doneness by using a butter knife—if it easily cuts through to the bottom of the barramundi, it is done. Transfer the barramundi to a serving plate. Spread the cilantro and the scallion directly onto the steamed barramundi. Heat a saucepan to medium-high heat and add the canola oil. Add the ginger and let it brown lightly for about a minute. Add soy sauce, sugar and water to the saucepan. Turn the heat up to high for about 30 seconds. Remove the saucepan from the heat and spoon the entire mixture over the barramundi. Serve immediately.